February is National Heart Health Month and today we are joining up with Sodium Girl, a fellow Homies nominee, for a recipe rally in the name of healthy tickers. The USDA recently announced new dietary recommendations, cutting the daily average of sodium intake by over 50% to 1,500 mg daily. Take a look at your labels. Sodium is everywhere, in copious amounts. So the challenge of the day is to recreate a typically sodium-packed meal into a low to no sodium meal. When I think sodium, I think Chinese take-out. 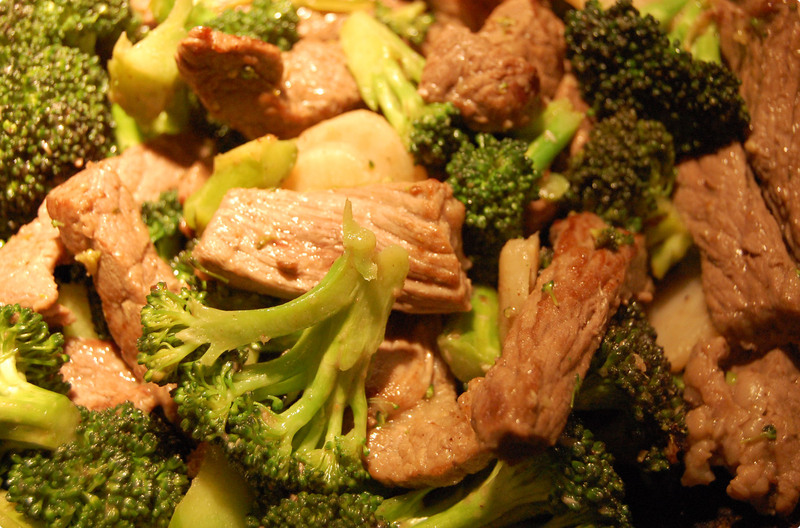 Can you really recreate a Chinese meal, like saucy savory Beef and Broccoli, with no sodium and still have it taste like Chinese food? I’m not going to lie. I made this dish twice. The first dish was okay, but nothing to share. My husband and I both agreed it was missing what I didn’t add – soy sauce. Why not just add a dash of soy sauce? Even lower sodium soy sauce is packed with a quarter of your daily sodium intake in just one tablespoon! So I embarked on a mission to evade the almighty soy sauce. Heat peanut oil in a wok or deep skillet on high heat. Whisk together balsamic vinegar, rice wine, honey, pepper, corn starch and Chinese Five Spice. Set aside. 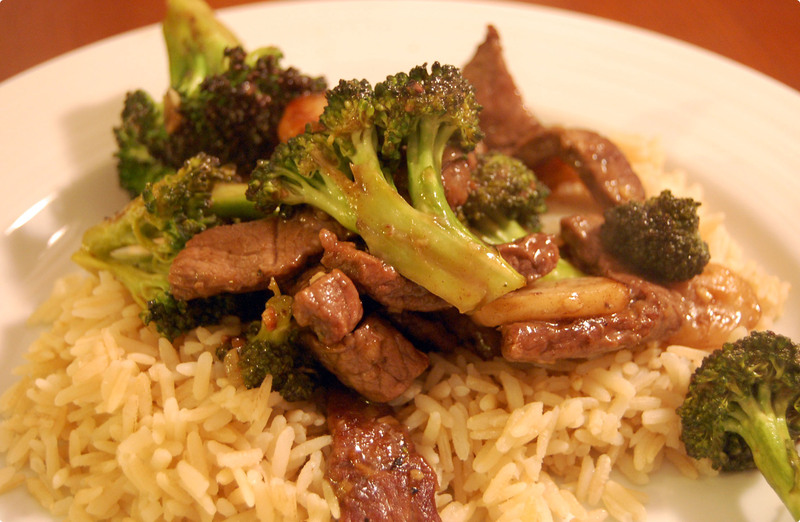 Toss beef into the oil, searing on both sides, about 4-5 minutes. Add garlic and ginger, saute for 1-2 minutes. 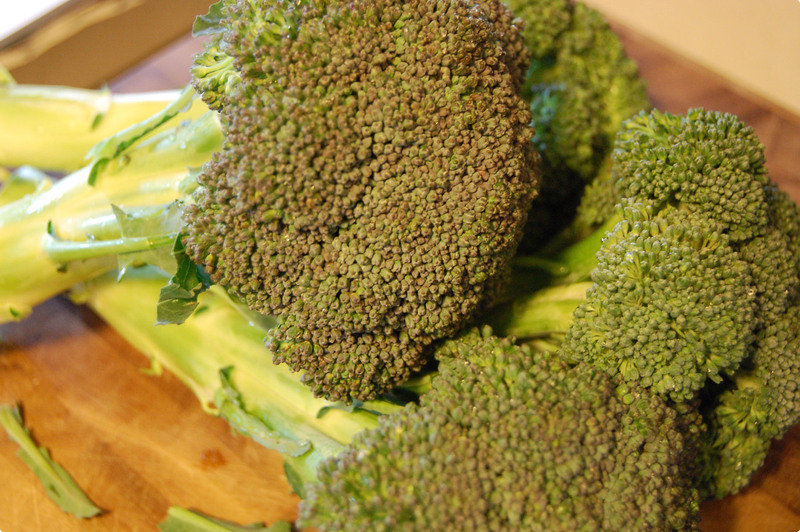 Add broccoli and water chestnuts, cooking until broccoli is softened, about 3-5 minutes. Add vinegar mixture and toss until well-coated, about one minute. Serve over a brown rice. The second time around, this dish was quite a success! Juicy, flavorful, I hardly missed the soy sauce. I hope you enjoy it too. I’m adding this to my menu for next week! This was great! We did add a little soy sauce, but it’s much less than we would have used otherwise. Love that 5-spice powder!